Over the past few weeks we have been working with The Aston Workshop on a series of advertising features regarding the build and improvement of classic Aston Martin models such as the infamous DB5 and classic V8's. One such element that photographer Tim Wallace has been working on as the project nears completion is 'Enginology'. This final part of the project has now been completed and was all shot on location at Aston within their state of the art engine building facilities. The decision to shoot on site was based on the sheer weight and issues that could arise from moving such large and valuable engines. We are able to work in virtually any environment due to the specialist nature of the high end photographic equipment and lighting that we use, this allows us to produce high quality photography that has the appearance of being shot in a studio, a vital and efficient approach to the commercial work that Tim produces for our clients. 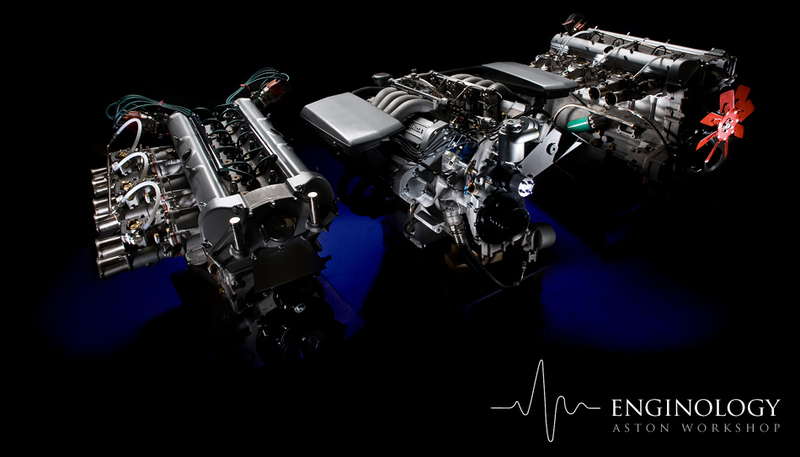 All the engines featured in the shoot are build by hand on site at The Aston Workshop as part of the Aston restoration program that can see as many as 20 classic Aston Martin restorations being progressed at any one time. The work produced by Tim will be used in both technical and marketing material over the next 12 months.